West Indies batsman Darren Bravo. West Indies dug in on a testing pitch to open up a potentially series-winning lead on day two of the second Test against England in Antigua. Kraigg Brathwaite (49), John Campbell (47) and Shai Hope (44) made contributions at the top of the order on a North Sound track with such variable bounce. 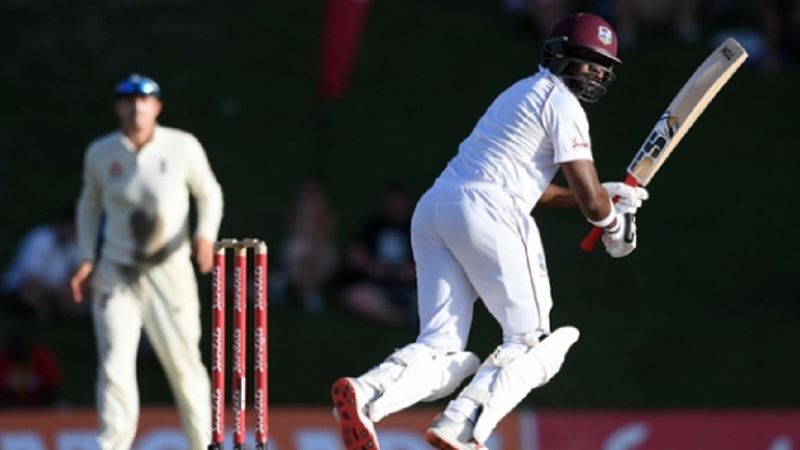 Darren Bravo dropped anchor to frustrate the tourists with a patient unbeaten 33 from 165 deliveries and Jason Holder was still there on 19 when the Windies closed on 272-6 - leading by 85 runs. The excellent Stuart Broad was the pick of the bowlers, taking 3-42 from 28 overs after having no luck in the opening session, with Jos Buttler dropping a simple chance to remove John Campbell. England, who had Jonny Bairstow behind the stumps with Ben Foakes sent for an X-ray on his right hand, will have to produce something special to keep the series alive after toiling on a warm Friday. Broad was desperately unfortunate to see a miserly, probing morning spell go without reward as Campbell survived a DRS appeal for caught behind, before Buttler dropped a regulation chance offered by the West Indies opener at third slip. Campbell made the most of those and other slices of good fortune to strike some confident blows through the covers on his way to 47, but Buttler partially atoned for his earlier error, with Ben Stokes the beneficiary. That was England's only breakthrough before lunch, as Brathwaite's opening stand of 70 with Campbell and an additional 63 alongside Hope for the second wicket placed a sizable dent in the tourists' first-innings total of 187. 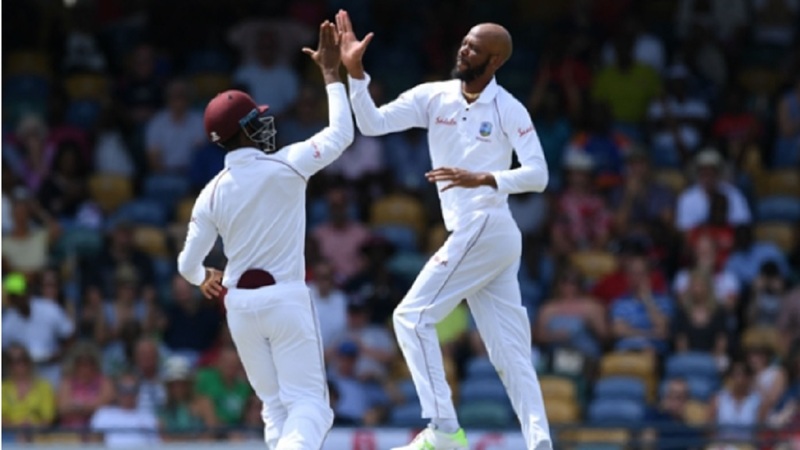 But Brathwaite and Hope also fell just short of half-centuries – Moeen Ali (2-54) having the former caught at short leg by substitute Keaton Jennings. Broad then deployed leg-cutters to fine effect, seeing Hope caught at the wicket and uprooting Roston Chase's off stump in the same over with one that kept wickedly low. James Anderson was furious when Rory Burns grassed Shimron Hetmyer at extra cover off his bowling and had barely calmed down when he superbly caught the dangerous batsman in the deep off Moeen for 21. 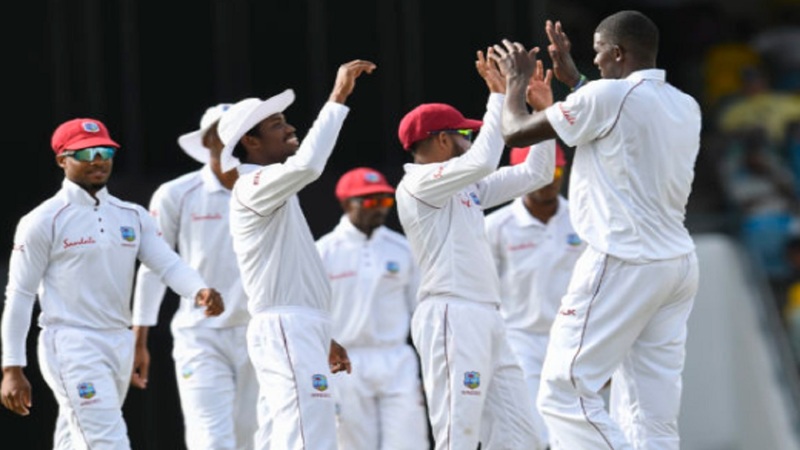 West Indies were a run behind and five down at that stage and Bravo and first-Test centurion Shane Dowrich rode their luck in getting through to tea. It was Broad who ended a 50-run stand to reduce the Windies to 236-6, a brute of a delivery rapping Dowrich (31) on the gloves and looping to Buttler in the slips, before England wasted a review when Bravo was struck on the pad by Stokes. 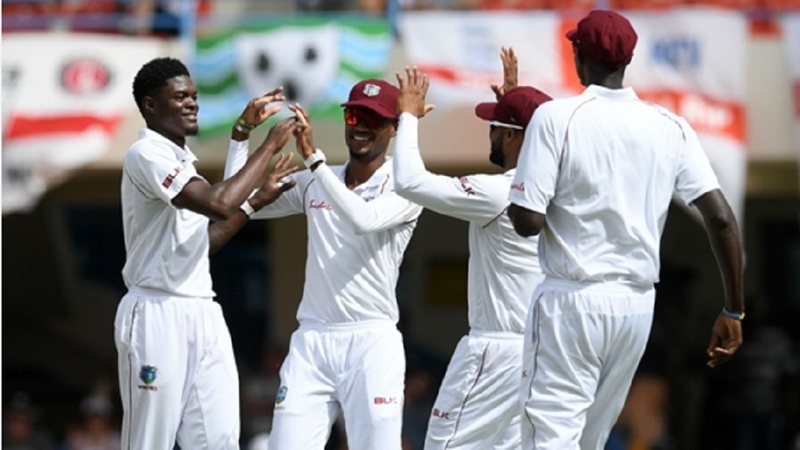 The watchful Bravo and Holder stood firm as England continued to probe without further reward, leaving the Windies in a strong position at stumps. Scores in the match are:- England 187; West Indies 272-6.